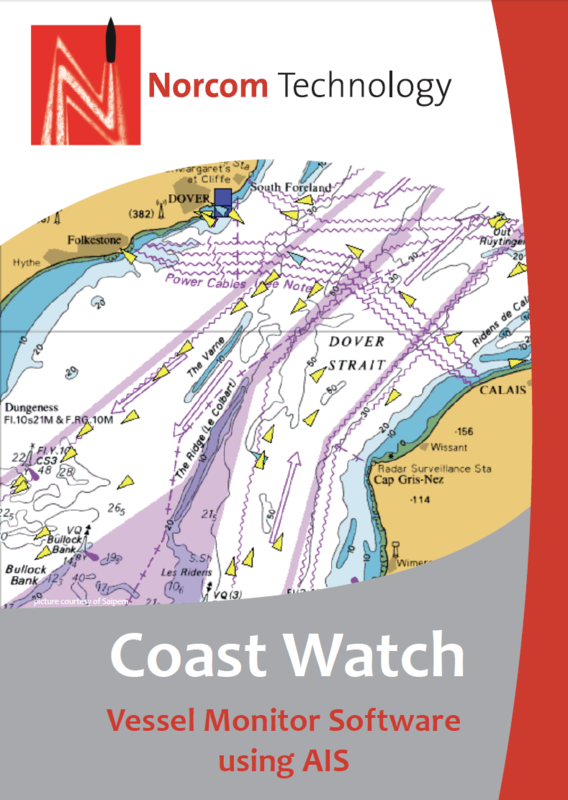 Coast Watch is a vessel monitoring program, it plots AIS targets on a range of electronic charts allowing the data to be monitored and recorded. The latest version of Coast Watch also allows the user to overlay tidal streams and monitor tidal hight. Please note that this software does not included electronic charts, these can be purchased from the Chart Packs section. the country of registration of the vessel. be displayed when the background chart is at an appropiate scale. cargo or is of a particular type (e.g. Fishing Vessel). An individual vessel can be selected and all the AIS information of the vessel can be displayed. area. International boundary lines and other limits can be imported into the software via a text file. The software can log data to a local or network drive in various formats. replayed in case of a particular instance needs investigation. monthly reports in a Log Book style. can supply charts from its eChart service. The following specification is the minimum required to run the software.